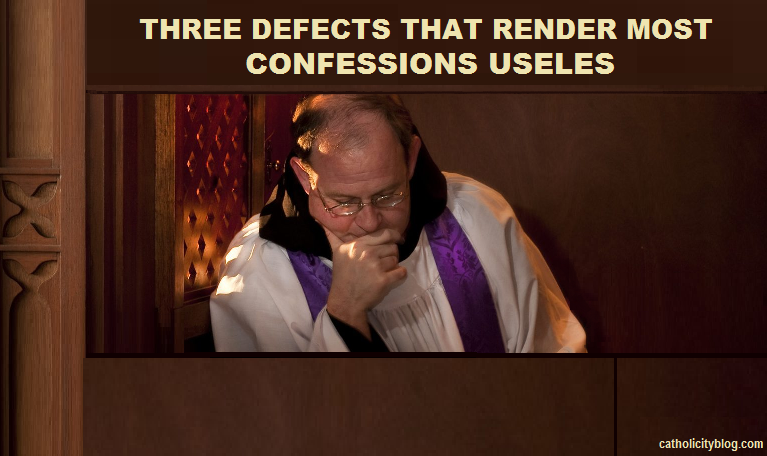 Dear brothers, I wish to speak to you of three defects which make most Confessions useless, if not sacrilegious; the lack of light in the examination of conscience, that is, the blindness in our sins; second, the lack of sincerity in manifesting them, and finally, a real lack of true sorrow, of true repentance. 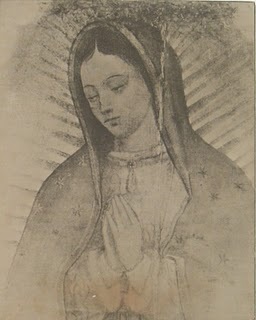 The main disadvantage that man has is the lack of self-knowledge, which is a great obstacle to Confession; and the reason for this is that we do not examine ourselves with sufficient maturity and time; that when we examine ourselves we do it mostly about our personal concerns, and that we seldom examine our obligations. The examination of our acts should be constant. Our life should be a continuous examination and censorship of our actions, desires and thoughts. But it is inconstancy that prevails in us, disordered desires in our hearts, as well as envy, fears, hopes, joys, sorrows, hatred and love, and in this way all these passions turn our heart into an abyss difficult to probe and of which we never see more than the surface. 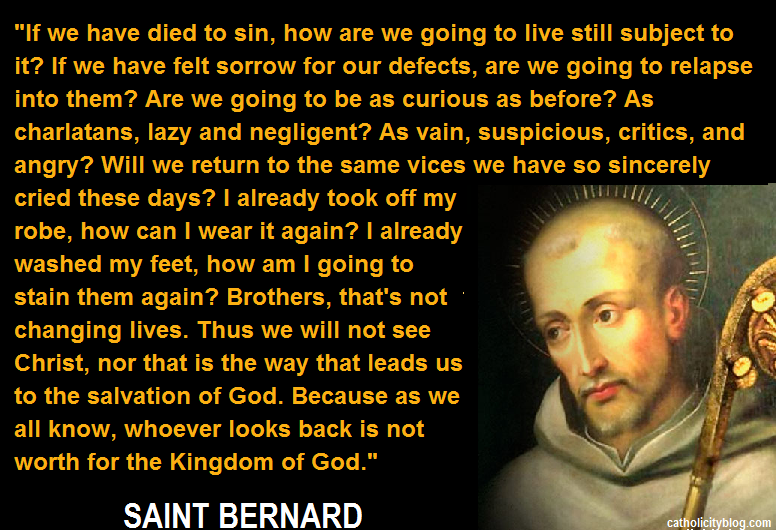 A continuous vigilance on all of our actions is very necessary in order to be able to make a good Confession. This continuous vigilance is what adequately prepares us for a good Confession. It is necessary to get used to continually take into account our actions, to examine our heart in those moments of calm and silence of the day, which are the most appropriate for it. How important is the daily examination, at the end of the day, to present our soul to the Lord in our hands, to think about His presence, the use we have made of the day that has passed. Thus, with these daily examinations of our conscience we become acquainted, so to speak, with ourselves, and we prepare to take to the confessional a proven heart and a thousand times examined sins. The brief examination of conscience that many do before Confession is not enough. If we are sincere we will accept the reality, that for many their life is full of continuous forgetfulness of oneself, of pleasures and personal care; a continuous fleeing of oneself, to avoid reflecting on one's own life and state. Never will the light enlighten their hearts to know its true reality. Here is the first great defect of Confessions: not to spend the necessary time for a correct examination; only the short time before Confession. Every day should be an examination for it. The reality is that the examination of conscience is usually done rather according to the concerns of our self-esteem. We examine our own concerns. What does it mean to examine ourselves? It is to put on one side the Commandments of God, and on the other the part of our life that has not kept them; to see in each of our actions what the Gospel commands, allows or prohibits, and compare it with our actions. But the truth is that in the examination of conscience these holy rules are replaced by the preoccupations of self-love. Along with the above, another cause that renders Confession useless, is that many do not make an examination of conscience according to their obligations. Few do the examination under the light of faith and with the rules of the Gospel; everyone goes to Confession with their own concerns, rather than presenting their sins. It is necessary to confess our faults in the fulfillment of personal obligations, as a parent, or as a public person, etc. Many do not know more than their personal defects. It is a great truth that many live their lives wearing a disguise and that they are never as they claim to be. They find it hard to confess themselves guilty. Confession makes them feel discovered in the farce of their life and feel that their false and vain image is disfigured. They wear their disguise even to Confession. They do not walk to God through the right path, and do not have the righteousness and simplicity of heart that heals the wounds by discovering and revealing them. The first defect of sincerity consists in not using clear expressions. To mix the sin with one’s own pride, to not fully manifest our conscience; to sin of lack of uprightness and sincerity. To not use clear expressions, to silence the motives and principles for which they sinned. It would be necessary to remind such penitents that they come to the tribunal of Jesus Christ who knows them very well, who is the invisible witness of all their actions and secret life; who reads the heart as an open book, and all the most shameful things hidden in it. A second defect of sincerity consists in not saying the motives and principles of the actions carried out. Actions are said but not their motives; they talk about their sins, but not about the consequences. We must consider everything we do based on why we do it, and weigh our actions in our heart. The heart is the one who decides everything in man; but this heart is what some never discover in confession. It happens that these penitents confess, for example, that they have spoken evil of their neighbor, but do not say that the reason was the envy they feel towards them; they confess their anger towards someone, but they say nothing of the frivolous and sinful actions that are the cause of that anger. In short, they do not say anything about the secret struggles that happen between the weakness of the flesh and the heart. It often happens in these cases, with these penitents, that most of the time it is the confessor who has to guess the state of their soul. One last defect of the lack of sincerity lies in the dubious actions, which are always exposed in favor of the penitent. What happens, really, is that they do not want to break with personal passions, and in turn they want to have a clear conscience: In this state of infidelity, what is sought is a sentence in their own favor and for that they tell the facts in such a way so the confessor does not condemn them. They lack sincerity in the expressions they use, because they lessen them; in motives, because they do not say them; in doubts, because they are exposed to their own favor. They always talk about themselves with a false appearance, hiding their reality and manifesting what they would like to be; they manifest a conscious that is actually false. In this way, it is impossible for them to feel the relief that feels the soul that is truly sorry, the peace of the soul, the calmness of conscience, which in the end are the fruits of a sincere and perfect Confession. Sorrow is the soul and truth of confession. 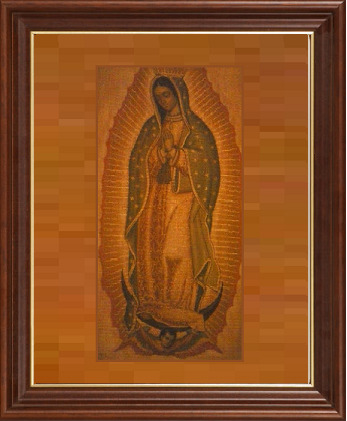 The above mentioned, being important, are no more than external dispositions of Penance. 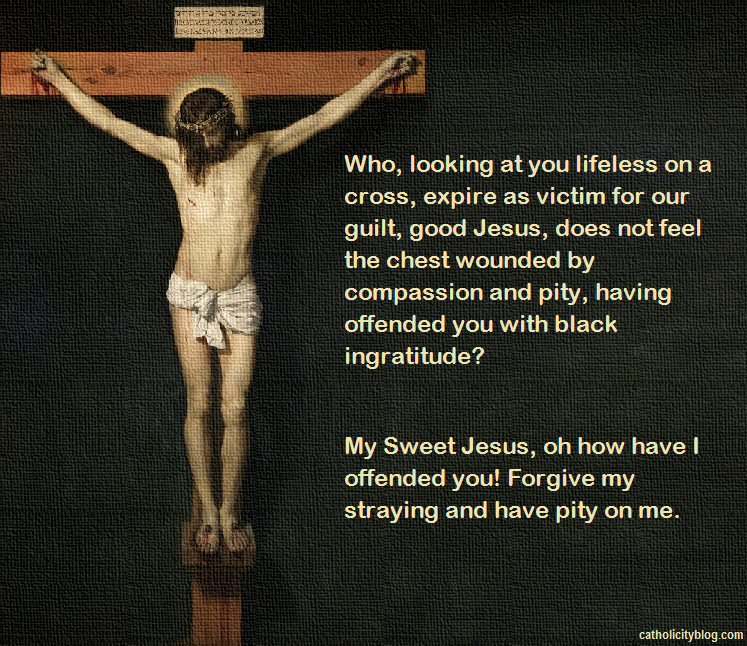 Contrition is a movement of the grace of God and not of nature. It is necessary to grow in the penitent a true detestation of sin, a true inner sorrow produced by the action of the Spirit that enlightens the penitent with the light of the faith so that he discovers in his sin the offense committed to God and the misfortunes that derive of sin. In turn, this sorrow must be the beginning of a new and sincere love that makes him hate sin. Most penitents go to Confession feeling the disturbance of their self-love in which the Holy Spirit has no part. They feel the embarrassment and worry of confessing their sins, rather than sorrow for having offended God. They mistake their pride with repentance; the discomfort they feel for having to go to Confession with the sincere repentance that is necessary for it; they mistake the inconvenience of Confession with sorrow of their sins. They are proud and confused and instead they think they are motivated and penitent. True sorrow of sin involves a sincere resolution to put an end to the disorders that lead to sin, and to begin a holy and blameless life. The question of Jesus Christ to the sick: Do you want to be healed? may seem useless, because that is what the patient wants. But not everyone wants to heal from the sickness in their souls. When the penitent goes to Confession, he must witness to himself that he really and truly wishes to heal; that is, that he wants to renounce his passions and follow the path of piety. 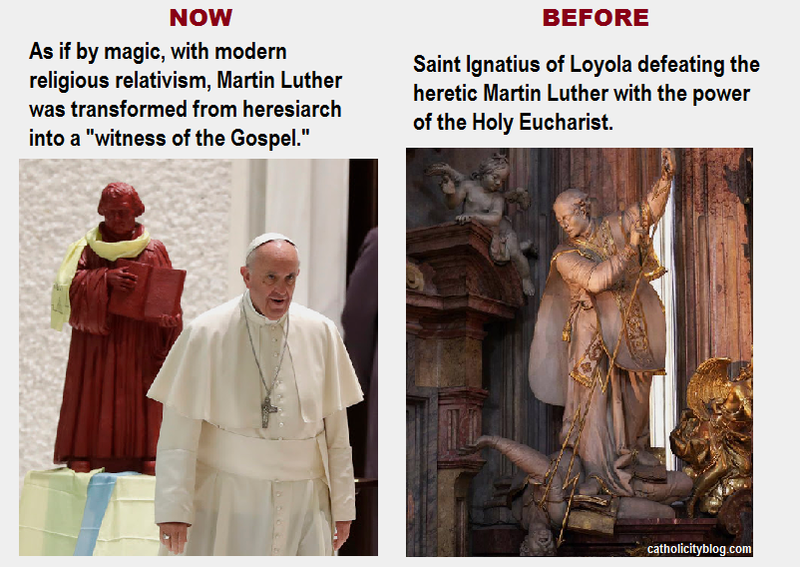 Consciousness cannot deceive itself, and knows very well if the purpose of a new life is true; the preludes of a conversion and a sincere renewal of customs have their own manifestations that leave no room for doubt. Dear brothers, these are the most common principles that make the Sacrament of Penance useless. We lack light in the examination of conscience, sincerity in manifesting sins and sorrow in repentance. Let us enter into ourselves, let us remember before God our whole life and the secret history of our conscience. Let us review the number of confessions made, many repeated and many useless. Today's passions in the soul are the sores of childhood that have aged with oneself. Today many are as sensual, proud and dissolute as in the beginning of their life. Nothing has changed, nor have his repeated Confessions succeeded; because they were useless Confessions. Life has carried them from one place to another, but their shameful passion has followed them wherever they went. Will we say? My life is a continual sin that varies only by the different states and circumstances. God forbid! We know what to do to avoid it. Lord, I believe in Thee: but let me believe more strongly. I hope in Thee: but let me hope more securely. I love Thee: but let me love Thee more ardently. 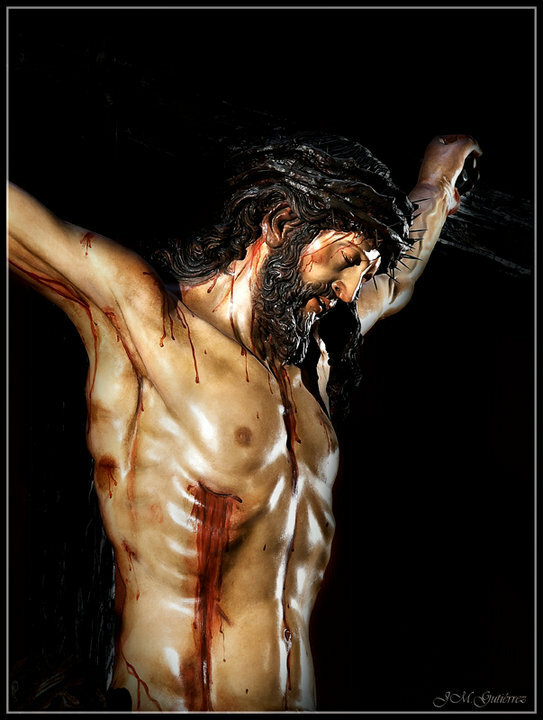 I sorrow, but deepen my sorrow for my sins. I adore Thee as my first beginning, I long for Thee as my last end, I praise Thee as my constant benefactor, I call on Thee as my loving protector. Guide me by Thy wisdom, hold me with Thy justice, comfort me with Thy mercy, protect me with Thy power. I offer Thee, Lord, my thoughts, my words, my actions, and my sufferings to be fixed on Thee, to be according to Thee, and to be endured for Thee. I want to do what Thou willeth, in the way Thou willeth for as long as Thou willeth, because Thou willeth. I pray, O Lord, enlighten my understanding, inflame my will, purify my heart, and sanctify my soul. May I weep for my former iniquities, repel future temptations, correct my faults, and cultivate suitable virtues. Grant me, O God, love of Thee, hatred of me, zeal for my neighbor, contempt the world. May I be eager to obey my superiors, be courteous to my inferiors, faithful to my friends, and to forgive my enemies. Help me to conquer sensuality with austerity, greed with generosity, anger with gentleness, apathy with fervor. Make me prudent in planning, steadfast in danger, patient in adversity, and humble in prosperity. O Lord, make me attentive in prayer, temperate in drink, diligent in my duties, and firm in purpose. May I take care to have an innocent interior, a modest exterior, exemplary speech, and a well-ordered life. May I be ever-watchfull in guarding against my weaknesses, cherishing Thy grace, keeping Thy laws, and coming to salvation. May I learn from Thee the passing nature of this world, the grandness of heaven, the shortness of this life, and the life to come eternal. Grant that I may prepare for death, fear judgment, flee from Hell, and obtain paradise. Grant this though Christ our Lord. Amen. 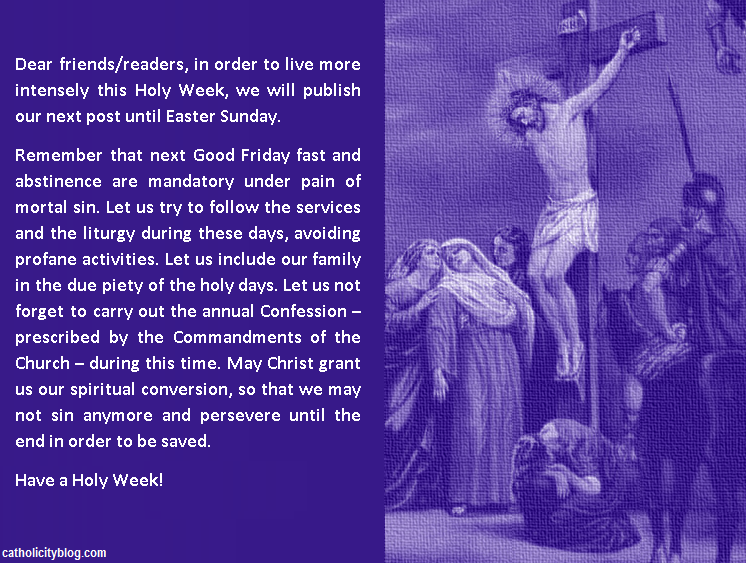 Which Waw Will We Follow After Lent? 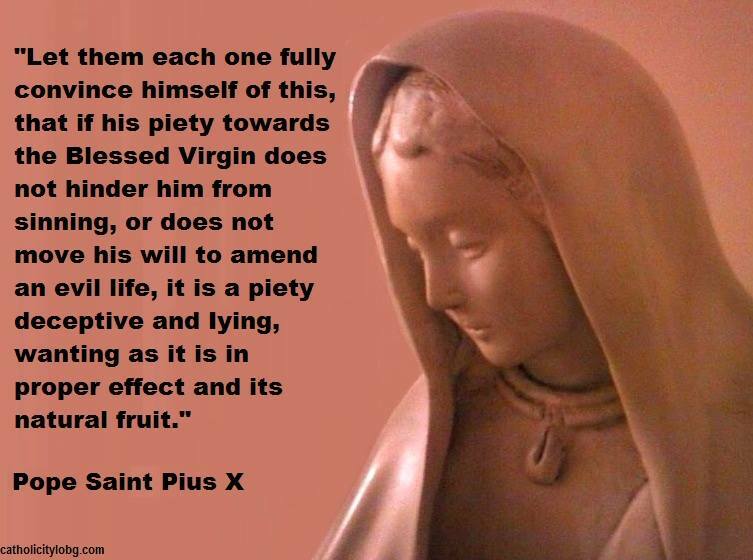 Is Your Devotion to the Blessed Virgin Mary Fruitful? The family is fractured, and not only because of the gender ideology, but because we do not have deep roots of faith. It is fractured, because we have turned our values and priorities, we work tirelessly for a house, a car and perishable goods, and we put our heart and our goals in those transient and superfluous things. The family is hurt because we do not instill in our children the love of God and our neighbor, because we do not accept that our children are people with flaws that need to be corrected. Because we cannot tolerate when someone scolds them, and we behave like wild animals when a teacher calls them to order. We are wounded, because we flee the word simplicity, because we do not accept austerity or poverty, because we believe we have the right to be served, but we do not like to serve. Because we raise proud and haughty children by giving them the world on a silver plate and robbing them of the ability to accept frustration and difficulty. The family is hurt because we do not know how to forgive, because we do not know how to speak without hurting the other, because we ask our people for a perfection that we do not have. Because we fall into the trap of seeing marriage as something disposable. The family is wounded, because we draw God from our hearts, because we relativize the truth, because there is never time to pray, because we accept infidelity, verbal and physical abuse, because we humiliate our spouse in front of our children or our friends. Because we are silent before sin and evil. It is definitely time to become better families, it is time to humbly acknowledge our mistakes, it is time to give the best of ourselves. It is time to open the doors of our homes wide, to let God in. It is time to dedicate time to our children, to tell them here I am, to teach them with works more than with words, that although life is hard, they can always count on our help. It is time to return to the first love, to fill the wine jars that were exhausted when we told our wife (or our husband) that we would be together in sickness and in health, in wealth and poverty. The family has not only been hurt by these new doctrines and ideologies that have alarmed us so much in these past weeks, perhaps you or I as parents, have been responsible for opening wounds in what we say we love with all our soul. Perhaps, we have lost focus by looking for the things below and forgotten the ones above. Yes, perhaps we forgot that Heaven is the goal. 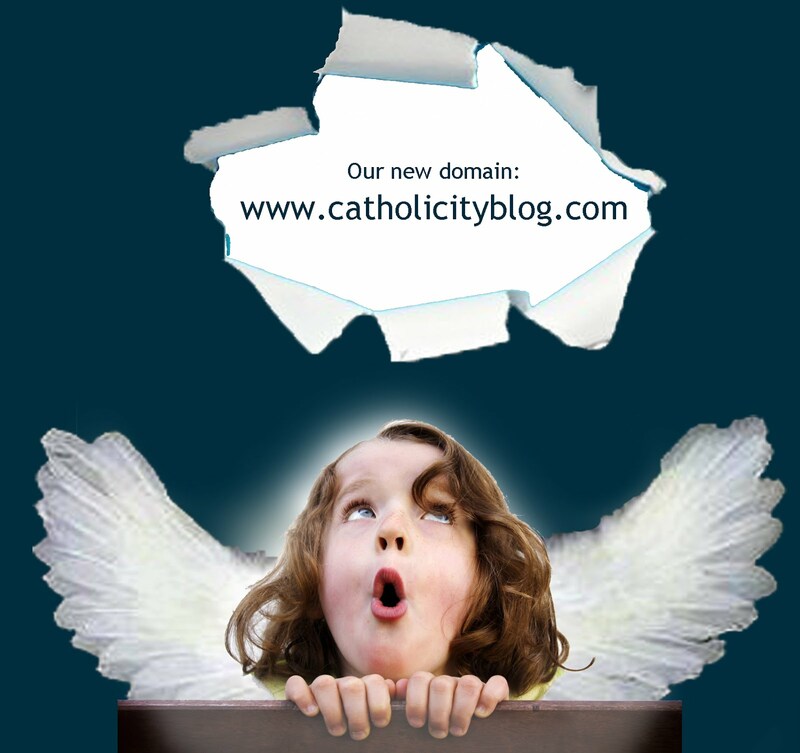 God bless us and help us to become better families, places where the love of God reigns. Where the Lord is loved above all things... 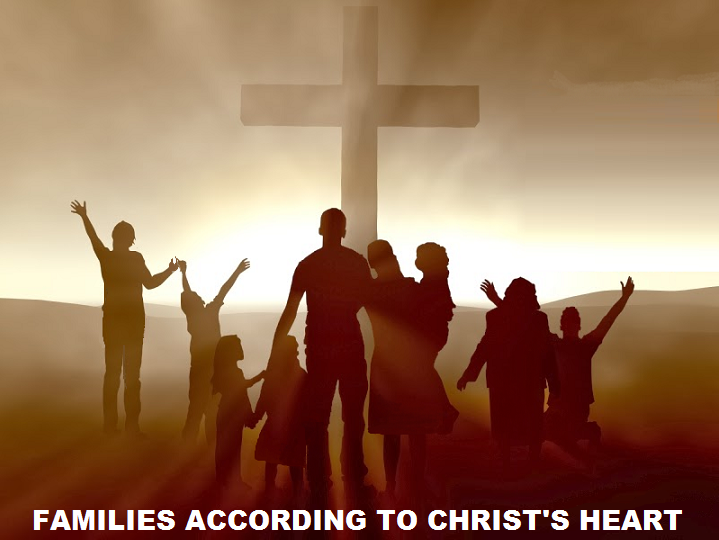 Families according to the Heart of our Creator. Paraguay. 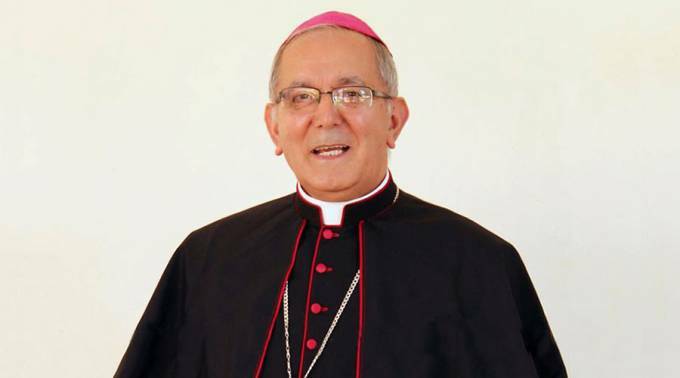 The Archbishop of Asuncion, Edmundo Valenzuela, pointed out during the Chrism Mass, on April 13 (2017), that "one cannot be a Catholic and a Freemason at the same time" since Freemasonry is absolutely incompatible with the Christian faith. During the celebration, he particularly drew attention to the authenticity of the Catholic faith, and spoke about the assembly of the Inter-American Masonic Conference (CMI), which will take place this week in Asuncion. In that sense, he said: "In the next days there will be an international meeting of Freemasonry in Paraguay, I remind Christians that you cannot be a Catholic and a Freemason because the principles of Freemasonry are incompatible with the Christian faith." Bishop Valenzuela asked families and young people to "not be deceived by those who say otherwise," asserting that "apostasy is denying one's own Christian faith." 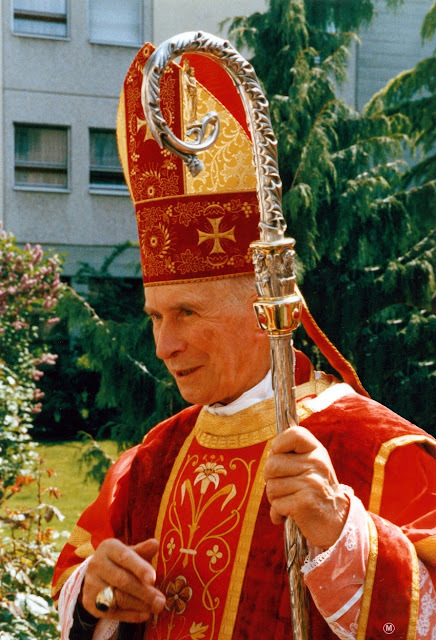 In addition, he mentioned that together with syncretism (the act of reconciling different doctrines or religions), it constitutes a practical and doctrinal withdrawal from the community, and that, in considering itself a grave sin, it demands the renunciation of Freemasonry and religious syncretism to approach the sacraments of the Church. 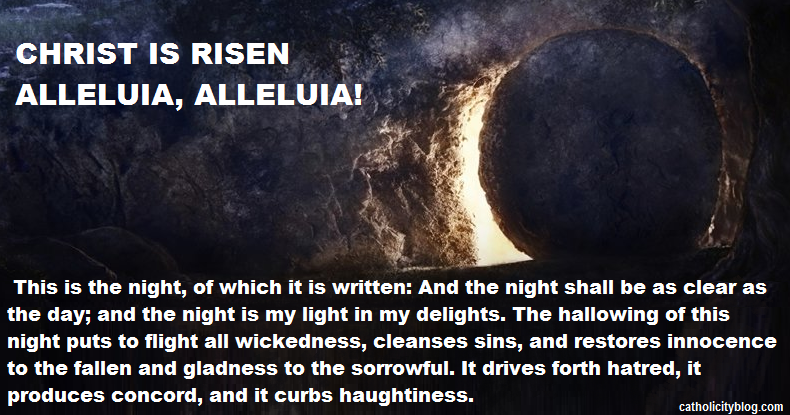 As Jesus rose, then we know that He overcame death and sin; we know that Jesus is God, we know that we shall rise too, we know that He has gained eternal life for us and in this way, our whole life acquires meaning. This is the night, of which it is written: And the night shall be as clear as the day; and the night is my light in my delights. The hallowing of this night puts to flight all wickedness, cleanses sins, and restores innocence to the fallen and gladness to the sorrowful. It drives forth hatred, it produces concord, and it curbs haughtiness. Rejoice all. Our faith is not vain. Christ is risen. Alleluia, Alleluia! Happy and blessed Easter to all our friends-readers. Let us propose, from today on, to make a great effort, with the help of God and of Our Lady, never to fall into mortal sin again. Let us ask for Final Perseverance and be faithful, at all costs, over internal and external enemies, to Christ and His true Church. 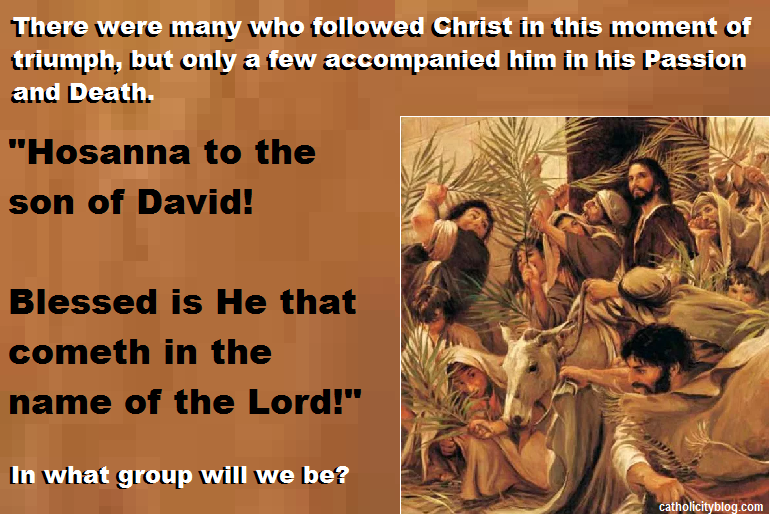 In What Group Will We Be? The Peruvian family advocacy association called “Vida Viva Perú” has broadcast a video in which it is denounced the imposition of gender ideology in the classrooms, indoctrination of children from an early age and the way in which those who think differently are punished. 2 + 2 has always been four, but now the result may be different. The video explains how gender ideology ends with common sense and how the ideological pressure has imposed on what is evident. Last weekend a parent denounced in “Freedom in Religion” the indoctrination to which his son had been submitted in a school in Madrid. Without the family’s knowledge, the parent denounces, "some professionals" gave talks to the students in which they were urged to choose if they wanted to be girls, even if they were boys or viceversa, and those who did not agree with this ideology were labeled as fanatics. The parent who decided to share his case also related how his daughter told him that she had received a talk and that she had watched a "beautiful" video. The video in question is called HollySiz and shows a boy who wants to be a girl but faces the "incomprehension" of his classmates, his teacher and his father. 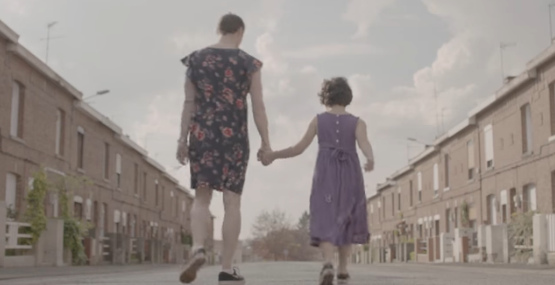 The video ends with the father dressed as a woman picking up his son at school to show him his support. Thus allaying any concerns on the part of the faithful. April 4, 2017. Cardinal Müller, Prefect of the Congregation for the Doctrine of the Faith and President of the Pontifical Commission Ecclesia Dei, together with the secretary Bishop Guido Pozzo, issued a letter today addressed to the bishops and cardinals, in which it is informed the decision of Pope Francis to grant to the Society of Saint Pius X, founded by Archbishop Marcel Lefebvre, the necessary faculties to celebrate marriages with canonical regularity, which until now were celebrated under the right of necessity. The document ends by declaring that "The Sovereign Pontiff Francis, at the Audience granted to the undersigned Cardinal President of the Pontifical Commission Ecclesia Dei on 24 March 2017, confirmed his approval of the present letter and ordered its publication. 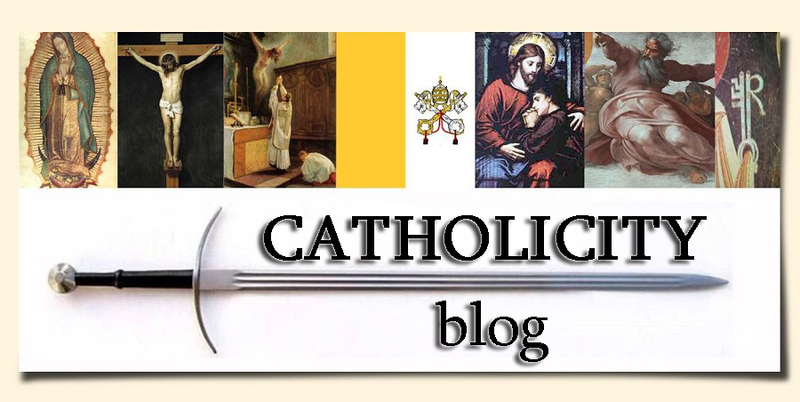 It is important to consider that the Catholic Church only grants ordinary jurisdiction (to give Confession or celebrate marriages) to those who belong to the body of the Church. If this ordinary jurisdiction is granted, it is necessarily recognized that these priests are Catholic and are not in schism. An excommunicated or schismatic priest could acquit a sinner only in case someone was in danger of death. It would be a case in which the Church, by the state of necessity of the faithful, grants a jurisdiction that would not be ordinary, but this would not be the case of the priests of the Society of Saint Pius X who can already perform these sacraments with an ordinary jurisdiction without having to recourse to the right of necessity. 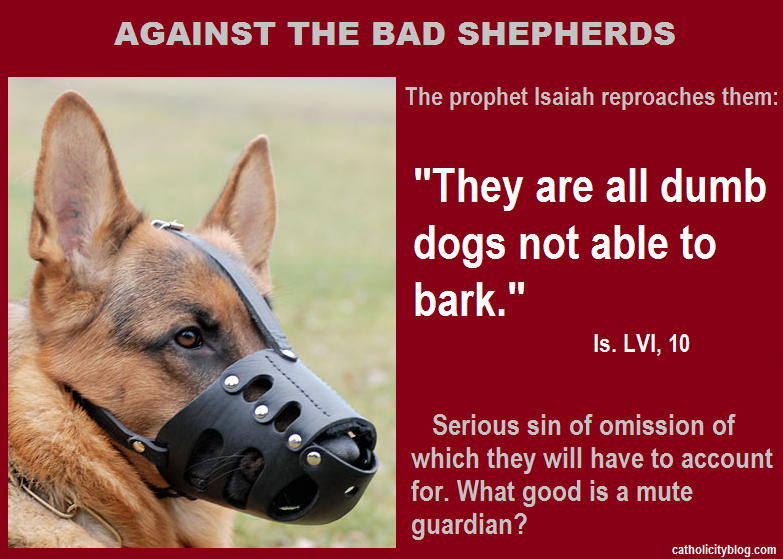 The prophet calls them "sleepers"
We all have a moral duty not to remain silent even in the most private spheres. Among friends, family or work, there are situations in which to remain silent is a coward action and an injustice against charity. The same happens before the Church and society and, the more we know, the less we should be silent. For the same reason, we must listen to and spread the words of those who know - and know well - even if what they say is uncomfortable. To be silent, when it is necessary to speak, is to commit a sin of omission. If those who must speak are silent, even the stones will cry out. Nowadays in the Church, in the face of the most serious crisis ever, almost all pastors are silent. They sleep comfortably while the flock perish. Saint Catherine of Siena exclaimed: "I ask you to act so that on the day when the supreme Truth judges you, He does not have to tell you this harsh words: “Cursed be you who have said nothing.” Be silent no longer! Cry out with a hundred thousand voices. I have seen that by the power of silence the world is rotten, the Bride of Christ has lost her color...”. 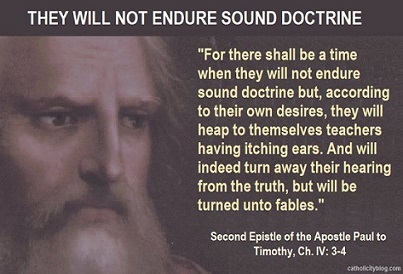 They are afraid to speak now and defend the Truth of the Gospel, but ... will they not fear the judgment of God when they are called to account for lost souls?